You don’t voluntarily decide to be a victim of a car accident. No one does. Survivors of automobile accidents can suffer long periods of severe mental trauma and physical pain. Even minor injuries can have long lasting effects on your body. While you may not think your car accident was serious enough for treatment, months or years down the road your body will disagree. Whiplash is one of the hardest problems in auto accidents to diagnose. There are usually not any outward signs of a problem and when you adrenaline has spiked and you are all amped up from the auto accident , an auto injury in your neck is not likely to be felt. But, when you calm down you start to feel the stiffness in your neck, the pain when turning your head, the possible nausea and dizziness. And inside your body you may have even herniated a disc (not a good thing). Dr. Paul Daigle, a chiropractor with over 25 years experience, has helped many people with auto injuries bring back the full movement of their necks without pain and without drugs. When you are in an auto accident your moves from a state of rest to a violent state of movement in the blink of an eye. This will hurt. This type of movement will also cause your body and your spine to be jerked out of alignment which will cause additional health problems (not to mention the soreness you will feel after an auto accident). 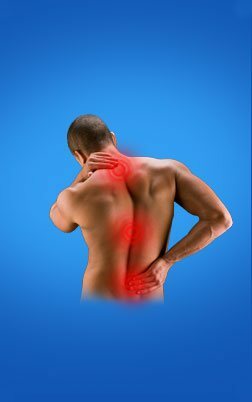 Chiropractic care will help ease your body back to the way it should be and reduce the inflammation naturally.